PHUKET: Phuket Provincial police and soldiers from 25th Military Circle, stationed in Phuket, have reported arresting a secondhand car dealer in Chalong for loan sharking. Officers led by Lt Col Thummasan Boontrong of the Phuket Provincial Police raided the Manitjareonyon car dealership in Chalong, and arrested the dealership's owner, Manas Phromprung. 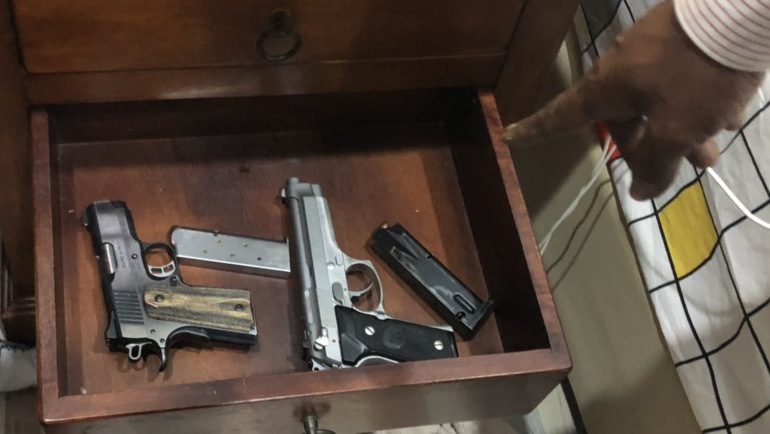 In making the arrest police seized a Barrett semi-automatic 9mm pistol and a Kimber semi-automatic .45 handgun. They also seized 29 9mm bullets, 30 .45-calibre bullets, 13 .38-calibre bullets, four rounds of .357 bullets, one .22 LR bullet, and two shotgun cartridges. At the Manitjareonyon dealership, police seized a white Mitsubishi Pajero, green Nissan March and a gray Mitsubishi Attrage, all registered in Phuket, as well as a green Nissan March registered in Pattalung. Also seized were two motorbikes – an orange Honda Wave 101i and a white Yamaha Fino – both registered in Phuket. Police explained that the raid followed an investigation after a complaint alleged that Manas accepted vehicles as collateral for loans for which he charged higher-than-legal interest rates. Supporting the claim, police in making the arrests reported discovering loan documents, which were seized as evidence. 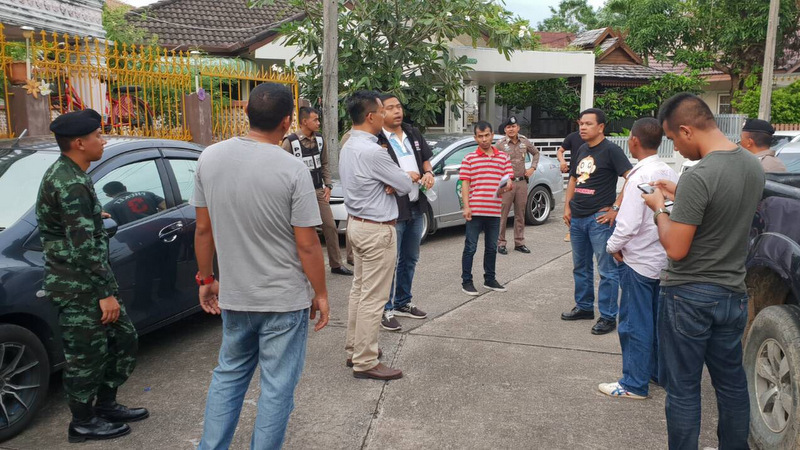 Manas was taken to Phuket Provincial Police Station for questioning, after which police said that he had admitted to operating an illegal car pawn business. Phuket Provincial Police officials noted in their report that Manas has been charged with operating an illegal pawn broker service, illegally operating a loan service, charging higher than legal interest on loans, as well as illegal possession of firearms and ammunition with a permit. Why the need for the military, pity the reporter didn't ask. Maybe it's to make sure no envelopes were handed around, also forcing the police to do their job.